King Edward VII Preparatory School is a government school for boys only, which is situated in Houghton, Johannesburg. Pupils are admitted from Grade 0 to Grade 7. We share the same grounds and sports facilities as King Edward VII School (KES), and we are the feeder school to the King Edward VII high school. King Edward VII School in Houghton Johannesburg is one of the top schools in South Africa boasting many Springboks in numerous different fields. King Edward VII School also boasts top quality teachers and a vast range of cultural activities. 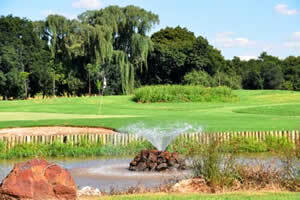 We are situated in the heart of Johannesburg's oldest suburbs. In the tranquil setting of Craighall Park, one finds a school committed to activating the minds of young people so that they are better able to take part in economic and social life. The greatness of Craighall Primary School lies in its continual striving to meet the needs of its pupils, and its ability to adapt successfully to the changing needs of the people of South Africa. Montessori education is an innovative, unique method based on a sensible balance between freedom and structure. It offers a prepared and pleasant environment that is carefully designed to meet the needs of each child. The Montessori way offers a structured system that allows the child to develop at their own pace, using their own abilities with the guidance of a trained Montessori directress and the use of specially designed, attractive and self correcting materials. Like the tall proud trees that surround it, Saxonwold Primary School is rooted in a solid foundation of tradition, while the blossoming of the beautiful Jacarandas year after year is symbolic of the promise of progress and growth. St Mary’s School in Waverley was established in 1888 and is the oldest school in Johannesburg. It is a school with a rich history which exudes spirit, integrity and passion in every facet of its life. St Mary's is an Anglican School for girls and welcomes the enrichment provided by other cultures and religions. The education offered at St John’s instills self-confidence, integrity and leadership in its students. Pupils are encouraged, challenged and supported throughout their development. They are taught to become independent, responsible and accountable. Our aim is to continue producing students of high calibre and moral fibre, developing leaders for South Africa. Emphasis is placed on teaching of creative and lateral thinking and all areas of the curriculum are supported by the latest technology. Brescia House -- 14 Sloan Street, Bryanston -- tel: 011 706 7404 -- web: www.brescia.co.za-- A Catholic school for girls founded in 1966, it is rightfully proud of it's 100% pass rate. Grades from 0 - 12. Bellavista School -- Birdhaven, Northlands - tel: 011 788 5454 -- web: www.bellavista.org.za -- Interdenominational school, founded in 1967, for children with special needs. Grades 0 - 7. Blue Bird Pre-Primary -- Craighall Park -- tel: 011 442 8160 -- web: www.bluebird.org.za -- Interdenominational pre-primary school, founded in 1950, with aftercare, holiday care and extramural facilities. From Grades 0000 - 0.
co-educational school for children with special learning needs. It was founded in 1972. Grades 0 - 7. Advertise your Sandton Local Community Organisations in the infoHUB Business Directory & Information Portal.